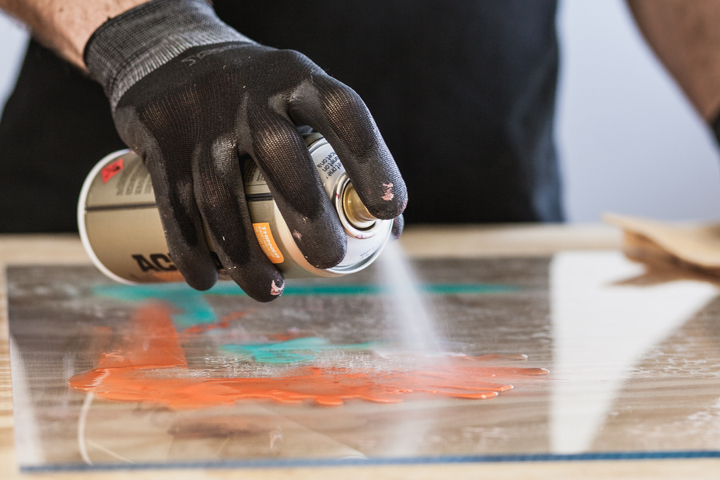 Montana ACETONE spray is a universal thinner and cleaning agent that is transparent in color. Removes residues of paint, lacquer, silicone, wax, tar, de-greasing. Suitable for pre-treatment before painting objects or to remove paint residues after painting. Can be used on porcelain, glass, ceramics, blank metals and others. Evaporates quickly without leaving residues. Non-corrosive. Always test spray on a non-visible area to check for any reactions to lacquer or paint, especially when used on plastic grounds as it may etch synthetic surfaces. Can be used as CAP CLEANER - put used nozzles on the ACETONE CAN and clean by spraying. USE: Test spray on a non-visible area to check for any reactions to lacquer or paint.